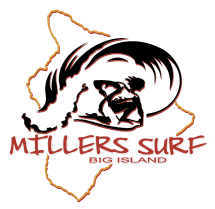 At Millers Surf we have comfortable silicon masks to keep you snorkeling all day! Great dry valve snorkels and an assortment of fins, for a sure fit. Prescription masks and used rental gear, also open to purchase. Feel free to stop in or call us for more information.